who secured the fastest time in a last lap push from the Kawaski rider. Home rider Ayrton Badovini was the first rider to sit at the top of the timing sheets, and was swapping positions with fellow Italians Michele Fabrizio and Davide Guigliano in the opening fifteen minutes; they brought the time down to 1.51.509. Astoundingly it was Leon Haslam who was the first non-Italian to top the session, still recovering from the broken leg he sustained in Assen four rounds ago. 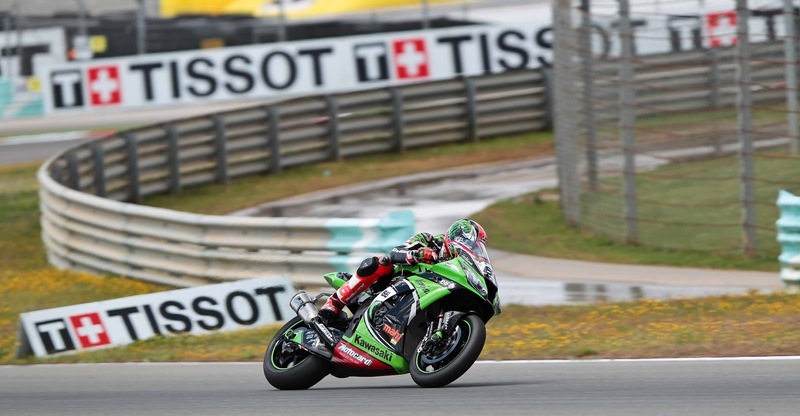 Haslam’s time was soon beaten by Kawasaki Racing Team’s Tom Sykes, who secured a lap time of 1.50.404, 0.404s faster than his compatriots time. Despite another fast lap from Badovini, it was the Yorkshire Grinner who led the way for the next half an hour of the session, setting four faster laps along the way. In the closing 10 minutes Jonathan Rea was on the move and shot up into third position, before beating Sykes’ lap time and securing a time of 1.48.673. The Pata Honda was then challenged by home hero Davide Guigliano on his Alstare Aprilia, shaving 0.192s off Rea’s time just as the chequered flag came out. However, as is becoming the norm in 2013 Tom Sykes put in one last flying lap to push himself back into the top spot in Imola, with a time of 1.48.409, just 0.8s off his own lap record. Despite leading the session early on, Haslam was back down in 13th position in the final ten minutes of the session but jumped up into seventh position in the closing minutes. Davide Guigliano and Jonathan Rea completed the top three, 0.246 back of Sykes’ time, and world championship leader Sylvain Guintoli completed the session in fifth, one place behind Marco Melandri in fourth.